Use these Curriculum Integration Planning Tool to integrate robotics into any curriculum. 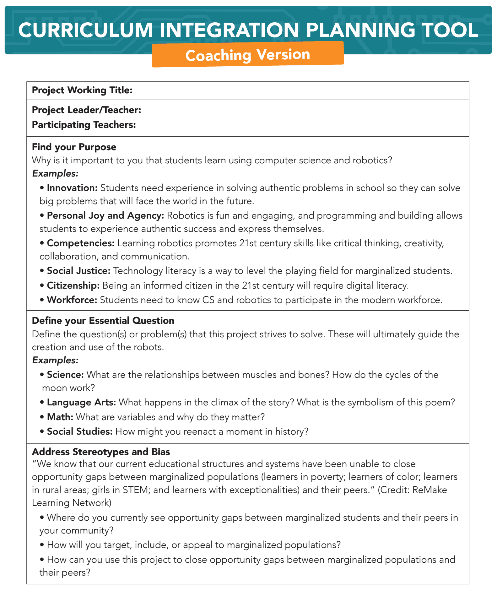 Coaching Planning Tool: Use this version to coach other teachers to integrate robotics in their curriculum with in-depth prompts and questions. 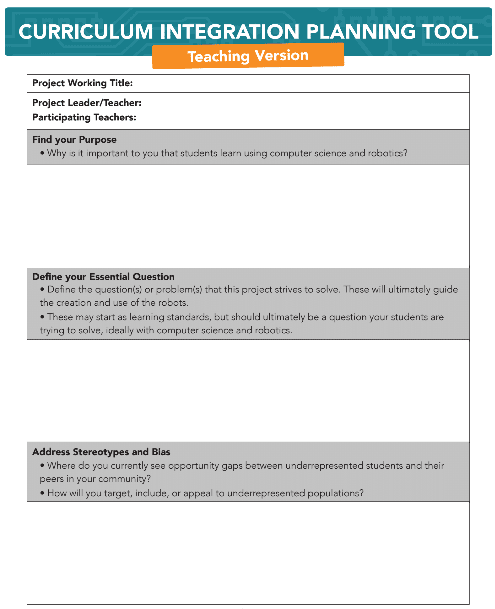 Teaching Planning Tool: Use this version to plan to integrate robotics into your own curriculum with basic questions and space for your thoughts.